Azure Kinect DK is a developer kit and PC peripheral with advanced artificial intelligence (AI) sensors for sophisticated computer vision and speech models. It combines a best-in-class depth sensor and spatial microphone array with a video camera and orientation sensor—all in one small device with multiple modes, options, and SDKs. Get started with a range of SDKs, including an open-source Sensor SDK. Experiment with multiple modes and mounting options. Add cognitive services and manage connected PCs with easy Azure integration. Approach critical business challenges in new and innovative ways. Learn how developers are using Azure Kinect DK in health and life sciences, retail, and manufacturing to provide exceptional care, create frictionless shopping experiences, and improve training. 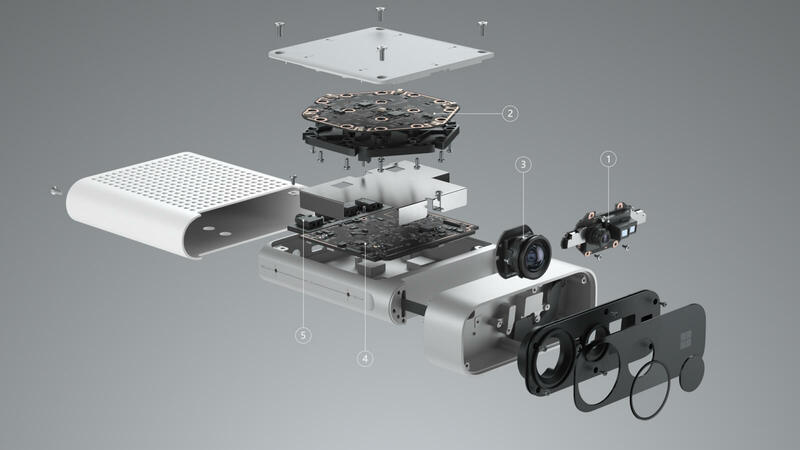 Less than half the size of Kinect for Windows v2, Azure Kinect DK was designed to pull together our best artificial intelligence (AI) sensors in a single device. Review the SDKs and product documentation to see if Azure Kinect DK is right for you. Preorder your Azure Kinect DK device. Once your Azure Kinect DK arrives, sign in to Azure or create a free account. Raw sensor access to Depth camera, RGB, accelerometer and gyroscope, device calibration data and synchronization control. Expose instance segmentation, 2D keypoints, and both observed and estimated 3D joints and landmarks for fully articulated, uniquely identified body tracking of multiple skeletons. Gain access to advanced algorithms for processing images and returning information such as optical character recognition (OCR) or image categorization. Gain access to features like Speech to Text, Speech Translation, and Intent Recognition. Take your Kinect project further with easy Azure integration. Develop more accurate vision and speech models by combining the advanced sensors on your Azure Kinect with Azure Cognitive Services, and use Azure Machine Learning to train your models. Manage PCs connected to Azure Kinect with Azure IoT Edge. When you have your device and you’re ready to build, create an Azure free account to get started. Enhance physical therapy, improve and monitor athletic performance, and rehabilitate patients faster with real-time feedback based on data from the Body Tracking SDK (coming soon). Design a shopping experience that your customers will love. Manage inventory and track products faster and more accurately, and create interactive signage that’s both helpful and delightful. Ship and receive items more efficiently with smart palletizing and depalletizing, and improve quality assurance with part identification and anomaly detection. Gain new environmental understanding with depth, reclaim time by automating repetitive tasks, and explore new ways to approach old problems by combining the power of depth sensing with robotics. How is Azure Kinect DK different than Kinect for Windows? Azure Kinect DK includes our best AI sensors (1-MP Time-of-Flight depth camera, 7-microphone array, 12-MP RGB camera, and IMU). 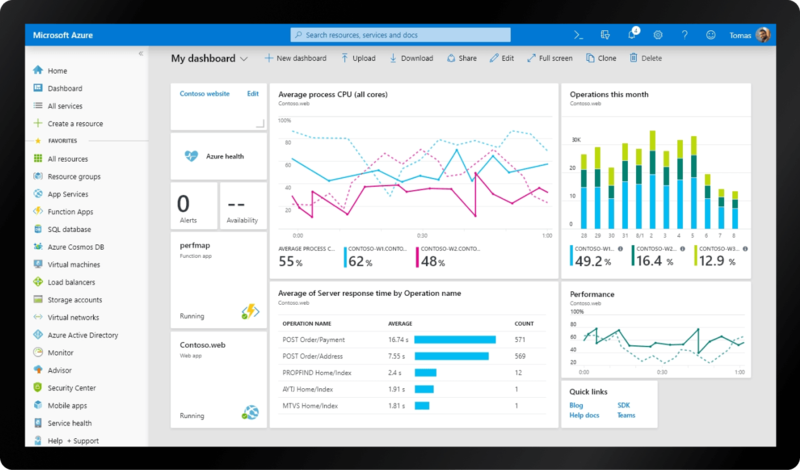 Combine them with Azure services to enable complete solutions which can be optimized to meet your needs. What does it mean that it is DK? DK stands for developer kit. This device is meant for developers and commercial businesses, not consumers. It is meant for use in an ambient temperature range of 10-25⁰ Celsius. Azure Kinect DK is not a replacement for Xbox Kinect. Can I only use Azure Kinect DK with Azure? Azure Kinect DK was designed to make it easy for developers to work with Azure, but you can use it with or without any cloud provider. When will the hardware and SDKs be live? Hardware is available for preorder in the US and China now. New SDKs will be available when the hardware begins shipping. Can I use this with Xbox? Azure Kinect SDK is not designed for use with Xbox. Get ready to build something amazing with Azure Kinect DK.